Bridge No. 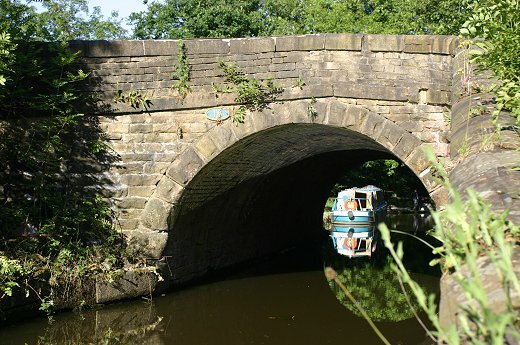 16 is "Bottom Lock Change Bridge"
The house next to Bridge No. 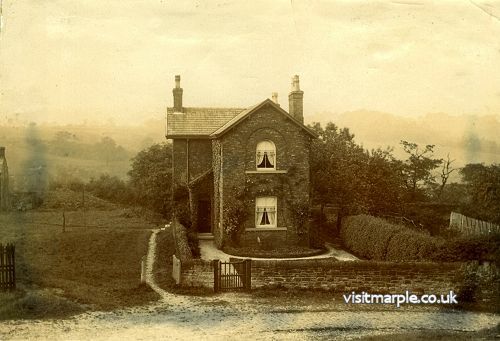 16 is Aqueduct House it was built in 1812 and was associated with the original Aqueduct Mill, rather than with the canal. After passing under Bridge No. 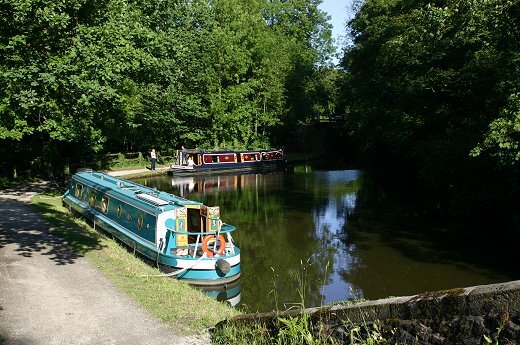 16 there's a wide pool with plenty of room for mooring to allow boats to wait their turn to commence passage through Lock No. 1, better known as "Bottom Lock". 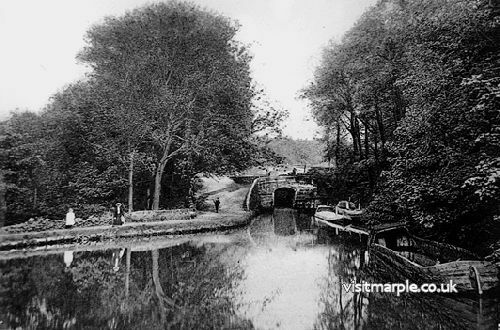 The black and white photograph below shows the approach to Bottom Lock around 80 to 100 years ago, a scene that is thankfully little changed today. Modern day photographs - Mark Whittaker.